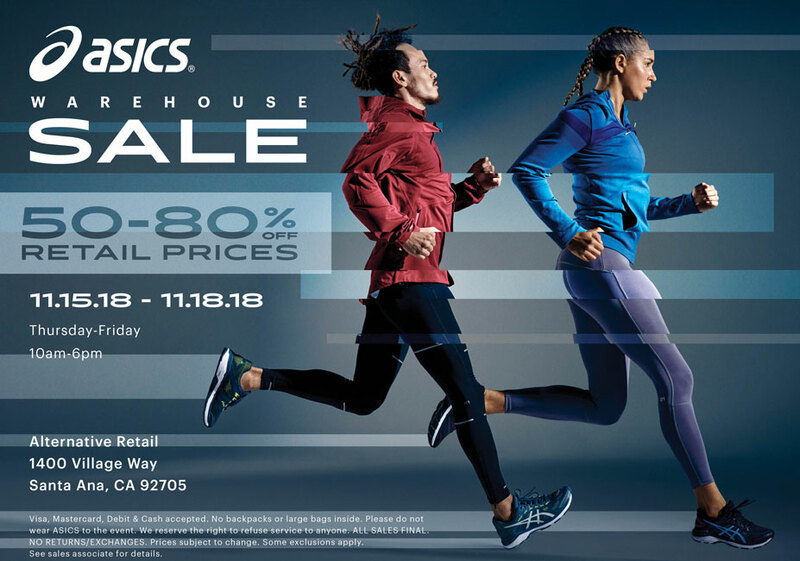 The ASICS Warehouse Sale has been extended for one more weekend! Save up to 80% OFF retail prices! SHOP: men’s, women’s and kids shoes and apparel! New deliveries include premium ASICS running shoes, running tech-tops, tees, tanks, sweaters, jackets, shorts, leggings, and more!